2012 was a busy year for homebuyers and homeowners alike. The year started with off with a bang! Mortgage pricing wars began in January and new mortgage rules were introduced in July, resulting in the housing market cooling as the year came to an end. Let’s break down the year that was 2012 and see how it affected the average Canadian homeowner. January 2012 saw the beginning of the much-heated mortgage rate wars. BMO fired the first shot by offering their 5-year fixed rate at 2.99 per cent, the lowest 5-year rate in modern Canadian history. The other big banks quickly followed suit with similar offerings. We also saw a rise in popularity of the 10-year fixed rate at 3.99 per cent. As it stands, there’s never been a better time to buy a house, as there are a plethora of low-rate mortgage products to choose from, allowing homeowners to pay down their mortgage faster than ever before. The Bank of Canada left its overnight lending rate at 1 per cent throughout 2012, but it continues to hint at a possible rate hike in 2013. The banks followed suit and left Prime Rate unchanged at 3 per cent. 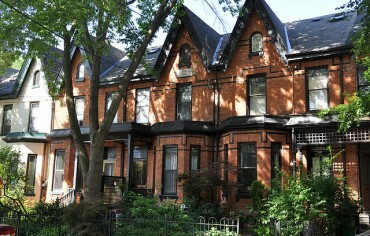 While 2011 saw variable rate mortgages offered at Prime – 0.90%, those discounts are long gone. It makes sense to lock-in with a fixed rate mortgage now, if a rate hike would put a strain on your household budget. And homeowners are apparently listening. The share of new fixed rate mortgages in Canada skyrocketed to 79 per cent, a sign that homeowners are aware of the threat rising interest rates can pose. Household debt continued to balloon in 2012, reaching levels reminiscent of the U.S. housing crash. In the second quarter of 2012, household debt made headlines when the debt-to-income ratio reached 163.4 per cent. The headlines have apparently spooked homeowners, as Canadians are repaying debt at a faster pace, which is good for when rates eventually increase. For first-time homebuyers with only the minimum 5 per cent down payment, the fear of a major housing correction (which could wipe out their equity) became a good motivator to pay down debt. The mortgage rate wars, coupled with the fear of a housing correction, saw the fourth round of mortgage changes in four years in July 2012. If you’re a first-time homebuyer, the new mortgage rules created a major hurdle for homeownership. The maximum mortgage amortization was reduced from 30 years to 25 years for high-ratio mortgages, increasing the mortgage payments for homebuyers and making it more difficult to qualify for a mortgage at all. While the new mortgage rules seem to have averted a housing correction, it has put a heavy burden on first-time homebuyers who must now save a larger down payment and/or pay down debt, to qualify. The real estate markets in Toronto and Vancouver are like night and day, from the start to end of 2012. In reaction to the new mortgage rules, more homebuyers are sitting on the sidelines. 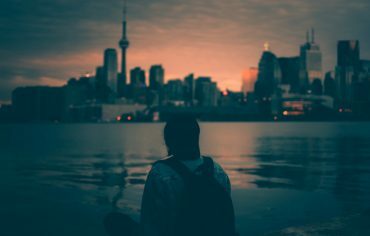 Toronto and Vancouver started off the year red-hot, but the new mortgage rules have put a serious damper on both markets, with sales volumes down and prices following behind. If you’re looking for a detached house, there’s still a lot of competition. But the condo market – the most common entry-point for first-time homebuyers – has cooled considerably this year. 2013 seems to look rosy for homebuyers. With the real estate market seemingly stabilizing after the new mortgage rules, we are seeing a more balanced market, which is good news for homebuyers. While a rate hike is possible, there’s still plenty of time to lock into a 5-year fixed rate mortgage, which are still available at historically low rates. While we shouldn’t expect a similar red-hot start to the year, 2013 looks to be a decent year for homeowners and homebuyers alike.